Home of my latest work. 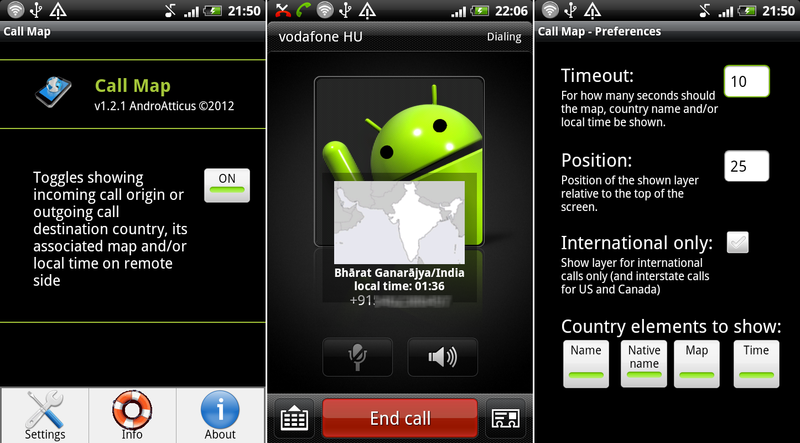 Call Map will show you on a layer the incoming call origin or outgoing call destination country's name and map. Configurable vertical position for the shown layer. Configurable to show the layer for international calls only. Supports state names and maps for US and Canada (NANP). Configurable to show local time on remote side. Support for state names and maps for India. Add support for country flags.